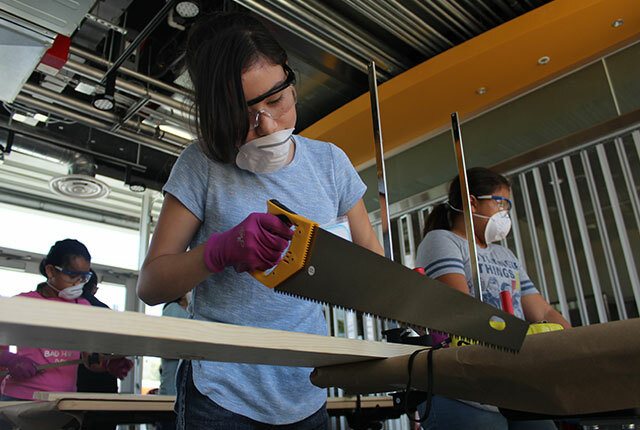 Harbor Freight Tools for Schools partnered with DIY Girls to support a free summer woodworking camp for under-served students to engage them in the skilled trades and help build the workforce pipeline where women are significantly under-represented. The camp is an intensive 2-week summer enrichment program designed to offer middle school girls hands-on skills in woodworking and engineering culminating with participants building their own herb garden beds. Harbor Freight Tools for Schools was thrilled to support the program that teaches girls to work with tools and increases their awareness of academic and career pathways in the skilled trades.